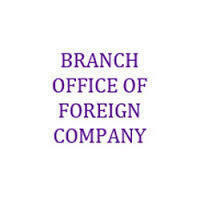 A foreign company needs to register as Branch Office or Liaison Office before starting operations in Pakistan. public or private sector in Pakistan. Their activity will be restricted to the work mentioned in the agreement / contract signed. However they cannot indulge in commercial / trading activities. Liaison Office: Liaison Office is established by a foreign company for promotion of products(s), provision of technical advice & assistance, exploring the possibility of Joint Collaboration and export promotion. However, they cannot undertake any commercial / trading activities. The request for opening of Branch office or Liaison Office is processed and finalized within 6-8 weeks’ time, provided that the company fulfills all requirements and concerned quarters have no objection. The permission is issued for a period of 3-5 years, further renewable on submission of performance report with regard to Liaison Office and up to the completion of valid contract/agreement period in case of Branch Office. Application Form (duly filled in and signed with stamp). Copy of registration of company duly attested by respective Pak Embassy. Copy of Article of Memorandum of Association duly attested by Pak Embassy . Copy of Resolution/Authority letter of the company to establish Branch/Liaison Office in Pakistan. Copy of contract agreement (in case of Branch office only). 2. Fees: Fees 3000/2000 US $ for Branch/Liaison office for initial period of one year. 3. Evaluation: On receipt of complete application , GoP examines the documents and circulates the same to all concerned quarters for their views/comment. 4. Issuance of Permission: GoP issues permission after 8 weeks time period , subject to NOCs from all concerned, and liable to be cancelled if adverse remarks received from any concerned quarter. 6. Registration Process Timeline: Although a lot of time is required to get the registration process completed from all relevant government authorities. After all necessary documents have been provided by the client for foreign company registration in Pakistan, SBC ensures to complete the registration process within two working weeks.